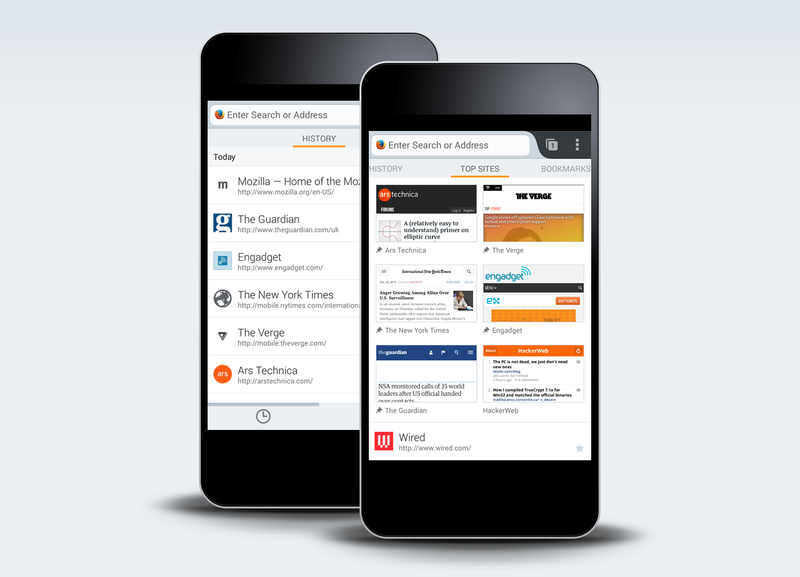 We’ve redesigned the Firefox for Android startup screen to help get you to where you want to go on the Web quickly. The new start page, that we are calling Home, gives users quick and easy access to their browsing data, including top sites, history, bookmarks, Reading List and a powerful search experience. It is now displayed in a simple set of swipeable panels which provide a much more fluid way to browse the Web. Home is the first thing a user sees when starting a new browsing session, opening a new tab or tapping on the URL bar.